Assignment: 1-Minute Self Portrait - Students were asked to create a non-standard self portrait video in 1 minute or less. All edits had to be made in the camera, without the use of post editing software. 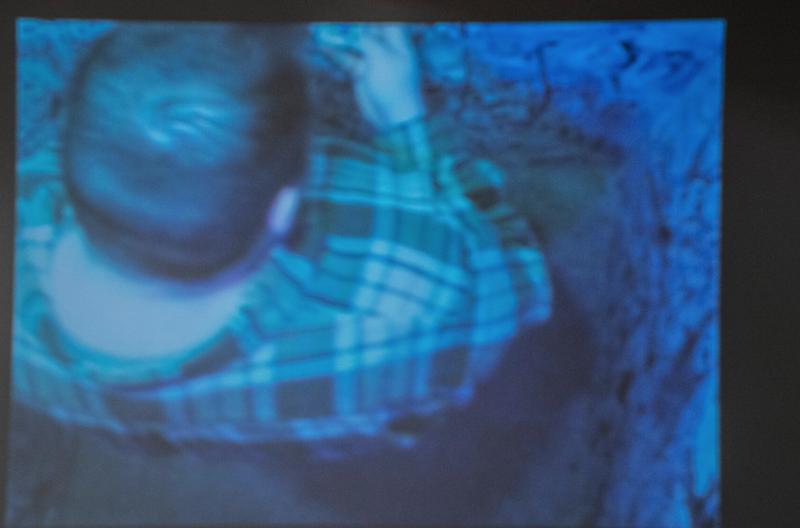 This student shot is video through a wet piece of plexiglass, and played audio directly into his camera. Assignment: media reMIX. Students were asked to create a short video piece using only appropriated footage in the style of Dara Birnbuam's Technology/Transformation piece. This student decided to tackle how media markets towards men and toxic notions of masculinity. Editing done with Adobe Premiere. Assignment: Text + Art - Students were asked to choose one of the readings from the course to use as a springboard for their final assignment. This student decided to make a short video work inspired by Laura Mulvey's Visual Pleasure in Narrative Cinema. Assignment: Experimental Narratives - Students were asked to use editing techniques like match edits and rhythm edits to create an experimental narrative. For this assignment, the student used music and appropriated footage coupled with self-shot video to create this piece. Assignment: I taught a 2 week filmmaking workshop in Beijing China. Students were asked to choose a genre to create a short narrative. Working in small groups, students had a week to learn about using the cameras and genre tropes, then they had 2 days to film and 3 to edit using Final Cut Pro. Assignment: Shot for Shot Remake - Students were asked to re-create a scene from a major motion picture shot for shot. This assignment follows a brief introduction to shot types and filmic language, and is designed to help students learn pacing, camera movement, and camera control. Assignment: Create a short narrative film with post effects created in Adobe After Effects. Assignment: Self-Directed Senior Exhibition Project - Short film written, shot and directed by the student. Assignment: Media Critique Video - Students had to tackle a subject or theme in their video that is current. This student chose to work with the issue of plastic waste in the oceans. Assignment: Documentary - This assignment requires students to create a short form documentary or interview style video piece. Assignment: Making Headlines - For this assignment students had to choose a news headline from the year of their birth as the springboard for a cut paper stop motion animation. This student was born the year of the Exxon Valdez Oil Spill. Using watercolor illustrations, hinged paper characters, clay, and multi-plane animation layers, this student was able to capture the narrative of the event. Assignment: Under the Camera - This animation technique is destructive. Each new frame requires that you destroy the frame before it. After screening charcoal animations by William Kentridge, students are asked to create their own "under the camera" animation using charcoal, sand on glass, or paint on glass. For this piece, the student chose paint on glass. Assignment: Strata-stencil - For the final projects, students had to create a piece using an experimental technique of their choosing. This student used the strata-stencil technique, which involves cut paper, telescoped frames similar to a shadowbox. As each new frame is shot, the previous has to be moved backwards or forwards in space, adding a sense of depth to the work. Assignment - Digital Animation - Using flash or After Effects, students are asked to create a short narrative animation. Assignment: Stop Motion Puppet Animation - Students are asked to build their own wire armature stop motion puppets and sets, then shoot their short animated pieces using studio lighting. Assignment: Lip Sync. Students had to record their own audio and create a traditional or digital animation focused on lip syncing to the recorded audio. This student worked in a “tra-digital” style using hand drawn characters and Toon Boom. Assignment: Group Pixelation - Pixelation is the art of animating human figures like stop motion puppets. For this small group exercises, students are asked to play with the way animation can control movement in much different ways than video. Assignment: This short experimental animation was made using Photoshop and After Effects. Assignment: Final - For the final assignment students we asked to combine at least two skills previously learned in the course for their final project. This student combined animation and video editing skills to create this piece using stop motion and Premiere. Assignment: Performance + Documentation - Students had to create a performance piece that was either live, or recorded and shown along with documentation. This student created a piece called "Emotional Labor" where he stacked blocks while reciting statements about the gender roles often ascribed to young men. 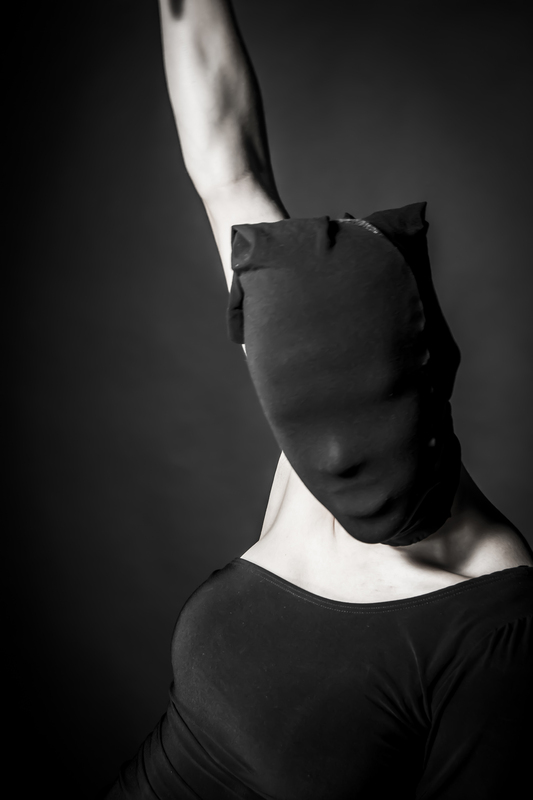 Assignment: Performance + Documentation - Students are asked to create a performance work. This student decided to do an endurance work where she plucked the hairs from her legs one at a time until all were removed. She wanted to make a comment about the painful lengths many women go to in order to conform to gender norms. Assignment: For this course, students submit proposals for a body of work that center around a theme, subject, or idea that relates to their senior exhibition. This student’s work was inspired by the early performance pieces of Matthew Barney, including his “drawing restraint” series. In an effort to illustrate the dedication, repetition, and effort required to be a successful student athlete. Assignment: Performance/Installation - For this work, the student decided to create an installation and performance piece. As a former army service member, the student decided to project the faces of fallen soldiers onto the face of a skeleton. He recited the names of the fellow soldiers that died while he was in the service. Assignment: Performance/Installation - For this project students built a cardboard playhouse in the studio, and created a 2-channel video installation. One side showed toys that involved violence or war, and the other showed a slow motion explosion of the atomic bomb. Green army men were inside the space, and viewers had to crawl into the space to see the videos. Assignment: Performance + Documentation - Students had to create a performance piece that was either live, or recorded and shown along with documentation. This student created a piece where she subverted the use of fake eyelashes and instead used them to create facial hair. She then applied mascara to emphasize the “mustache”. Assignment: Body Object - In this project students are shown the works of Man Ray and Edward Wrum, then asked to think about how they can use their bodies and found spaces to create temporary sculptures. They go out in teams and document the process. Assignment: Senior Show - For this temporary installation, the student was exploring color and light. He built a false room in the gallery with the walls painted black white and gray. Inside, there were remotes that allowed you to change the color of the lights inside the room, thereby changing the mood or tone of the piece. 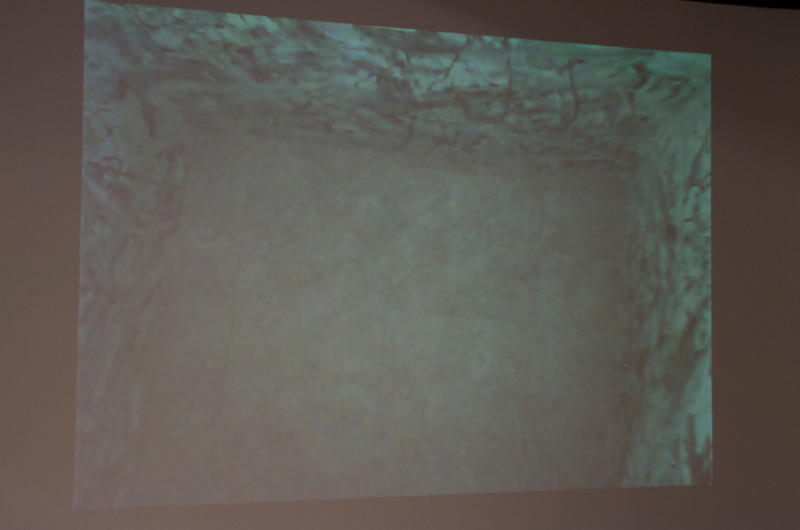 However, when the remotes were used, it triggered a recording device which projected a live feed of the tiny room in another part of the gallery for viewers to see. Assignment: Architecture - High Dynamic Range style. Students learn to shoot bracketed images using exposure bracketing. Then, they merge those images together to create the popular HDR effect. Assignment: Studio Portraiture - For the studio portrait assignment students must work with a model, and with gel color lights in order to create an image that evokes a mood or tone with color and contrast. Assignment: Motion Diptychs - Students are asked to learn to use the Tv (time variable) mode on their cameras to freeze a fast action, and shoot an action over a long exposure, creating a motion blur. The two images have to be related in some way. For this assignment, the student used color as a way to connect her images. Assignment: Senior Portfolio - This student created a double exposure style self-portrait by digitally combing painted developer and a digital portrait. Assignment: Staged Composites - For this projects students must shoot a series of photographs from a tripod, and use Photoshop to stitch the images together. This student photographed himself running track in all the various uniforms he has worn over his career running. Assignment: Hockney Style Joiners - Based on the work of David Hockney, students must shoot a series of images of the same object and create a "joiner". Assignment: Senior Portfolio - This student worked with macro style photography from unexpected angles to show the time, energy, and focus it takes to be a student athlete. Assignment: Double Exposure - Students were asked to create a series of digital “double exposures” that explored portraits while revealing something interesting about the subject. Here, the student chose to create portraits of their peers and “double expose” those portraits with the subject’s favorite natural space. Assignment: Forced Perspective. For this assignment, the students are asked to create a sort of optical illusion by using the lens to flatten 3D space. Here, the student chose to use a more serious theme for the assignment. Assignment: Studio Lighting - For this assignment, students are introduced to using the photo studio and controlling the lighting of their images. Here the student is using unconventional studio lights by incorporating string lights in their shoot. Assignment: Portraits - Students are asked to shoot studio portraits of their models using continuous studio lighting. Post editing work included learning to use digital dodge and burn techniques to adjust levels and contrast. Assignment: Joiners - Inspired by David Hockney’s “joiner” images, students are asked to take a series of photographs and digitally stitch them together to create a “photoshop” joiner. Assignment: Editorial Illustration - For this project the students are asked to pick an article, news headline, or magazine piece and create an illustration to accompany it. This student was working with Illustrator to create the graphics and layout for this piece. Assignment: Non-Local Color Self-Portrait - Playing with the various color schemes and working in non-local color, students are asked to created a self-portrait in any medium or style. This student created the piece using Photoshop and a wacom tablet. Assignment: Avatar Assemblage - For this project, student are asked to create an “avatar” or an alter-ego that represents some part of themselves or their personality they do not often share. The students were asked to used compositing techniques in photoshop to create their final images. Assignment: Abstract Letter Forms - For this exercise, the students are introduced to text as letter forms and shapes in Illustrator. Using any font of their choice, the students are asked to create an image that does not resemble a word using only letters. Assignment: Cover Art “The Three Little Pigs” - For this final assignment in Illustration, the students are assigned a book and asked to reimagine the cover art. Working with themes in the narrative, the students can choose any medium for their illustration. This student is working with Photoshop and a wacom tablet to create this piece. Assignment: WPA Poster - For the first assignment in Digital Concepts, the students are learning to use vector graphics in Illustrator. After looking at artwork from the WPA Poster collections, students are asked to redesign, reimagine, or remix a poster in the style of the WPA. This student created a PSA warning about the dangers of driving while playing Pokemon Go. Assignment: Abstract Type - For this assignment students are deepening their understanding of working with type in Illustrator. They are asked to create a piece that explores a theme using words and images together to convey a message, theme, or idea. Here, the student is exploring issues of childhood trauma and self esteem. Assignment: Logos - Students are asked to create vector logos for an imaginary company. Here the student has created a logo/advertisement for “gold” brand lipstick. Assignment - Animated GIFs - Students learn how to create animated gifs using photoshop. The exercise prompt asks them to think about the history of the GIF and its memetic qualities in online spaces. Many students worked to create “reaction” gifs to use on social media. Assignment: Surreal Landscapes - Taking inspiration from their own lives, students are asked to create a surreal landscape using Photoshop and Illustrator. This student was a foreign student visiting from South Korea, so his piece explored the fears and anxieties he feels about a possible nuclear war with North Korea.